"Krazy Joe" & Christine are taking part in the Dog Days of Advent....a new podcast every day from December 2nd to December 25th!! We're talking about our favorite Christmas ornaments! Today's ornament: Robbie the Robot! Special thanks to our first three patrons, Shawn Fisher, Nigel Blackwood & Melissa Bartell, the Bathtub Mermaid! Help Support MegaPodTastic by buying a MegaPodTastic T-Shirt or some MegaPodTastic lady's underwear for your wife and/or ... See More girlfriend. She'll give you a high five for it! CafePress.com/MegaPodTastic Please become a fan of MegaPodTastic on Facebook, and subscribe to us on I-Tunes. Please send your comments to us at MegaPodTastic@Gmail.com or give us a review on I-Tunes. 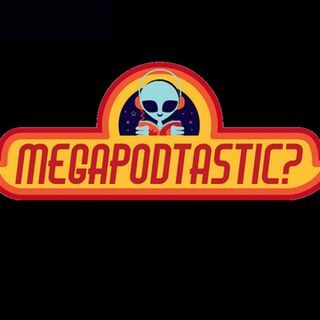 MegaPodTastic has a voicemail line! Call us at 610-624-1985. Give us a call...maybe you'll be on the next episode! Keep on wearing those pajamas! !